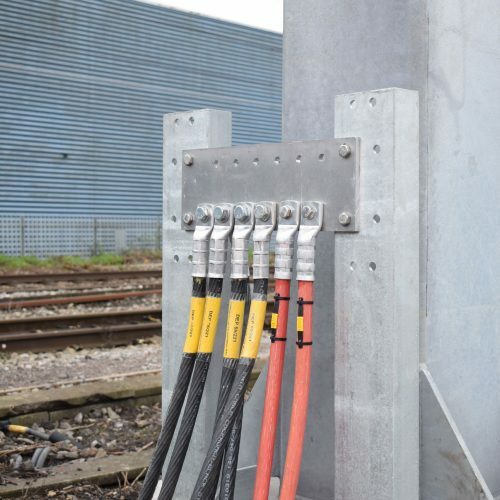 RJ Power Rail were engaged by long-term partner Amey Rail and their Thames Valley Area (TVA) Project team, to install earthing and bonding systems for various trackside assets. RJ Power Rail’s deliverables included surveys to identify lineside assets, the review of designs for the bonding systems and the installation of all types of bonding system in order to be able to electrify the GWML Project. The bonding systems were required to enhance the system protection by providing a sufficiently low impedance earth for Locations within the OLE ‘dewirement’ zone. This ensured that in the event of the OLE coming into contact with the location, that the traction return path can conduct the voltage for a sufficient time until the OLE system protective devices operate. To complete the works, RJ Power Rail supplied 10 installation teams during the various stages of the project, over approximately 100 linear miles covering a wide geographical area from Maidenhead to Bristol. The Great Western Route Modernisation (GWRM) is tasked with the delivery of a 25KV OLE railway with more frequent/faster train services providing more seats and improved stations. This programme covers approximately 10 years of continuous railway infrastructure enhancement works inclusive of a number of major works such as Track Remodelling, Resignalling and overall Electrification.